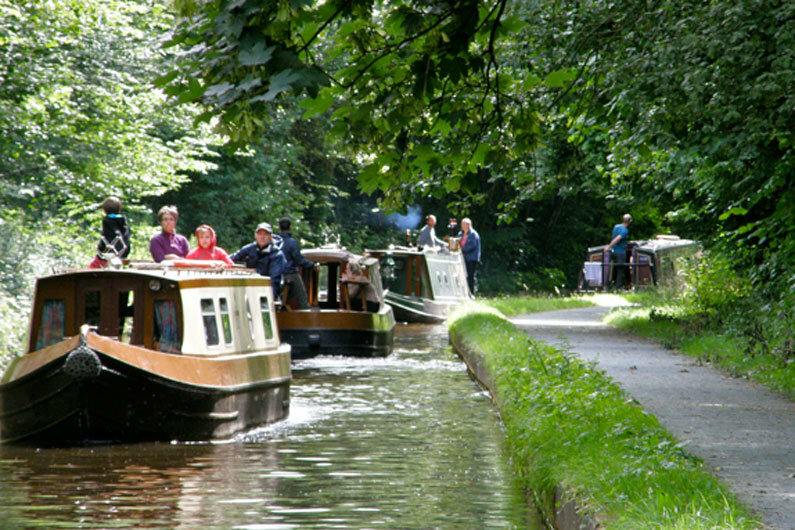 Thinking Of Becoming A Continuous Cruiser On Your Narrowboat? How To Manage Post, Doctors, Dentist etc. If you do not have a permanent home mooring for your narrowboat, you will be considered to be a continuous cruiser. It is not an option to take lightly as you must meet cruising requirements. Continuous Cruising… Is It Right For You? If your aim is to be out cruising the network on your narrow boat rather than being tied to a mooring spot, you may consider yourself to be a continuous cruiser. Obviously the main advantage here is that you do not need to budget for mooring costs, however other costs, such as diesel, engine maintenance will be considerably higher due to the distance you will be travelling and engine running times. Continuous cruising is certainly a lifestyle choice and you need to consider carefully if the lifestyle would really work for you before you embark on it. 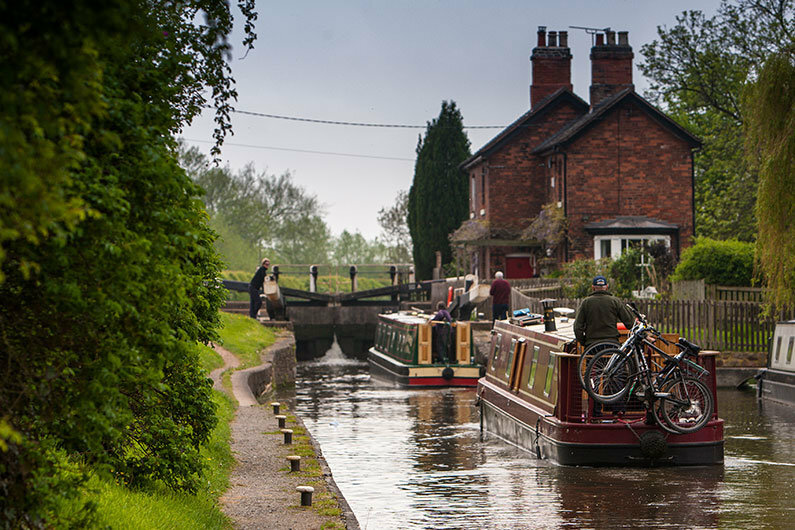 Many of the waterways managed by Canal & River Trust allow for 14 days on visitor moorings before you must move on. However, at popular areas or places with few visitor moorings, there may be restrictions of 24 or 48 hours only. The law states you must use your narrowboat ‘bona fide’ for navigation. If you aren’t able to do this, then you should choose a home mooring option instead. In order for CRT to renew your narrow boat licence, they must be satisfied you are truly cruising continuously and not simply moving back and forth between a few mooring spots. CRT advises that although there is no set distance, you should expect to travel in excess of 15-20 miles for the duration of your licence. Full details can be found on the Canal & River Trust website. Work/school commitments are often a deciding factor in whether continuous cruising is right for you. Also do you have the time to be a continuous cruiser? Weekends (and sometimes evenings) will be taken up with moving to a new mooring spot to ensure you are not over-staying; sometimes visitor moorings will be fully occupied so you will have to continue to cruise until you find one. If you have a car, you will need to factor in time to be able to move your car to the new location. Another major consideration for continuous cruisers is the provision of services such as bank accounts, insurance, doctors, dentists etc without a permanent residential address. Cruising the network may be a dream during the summer months, but few would find it as enjoyable in the depth of winter when the weather is dire and stoppages and floods restrict movement. 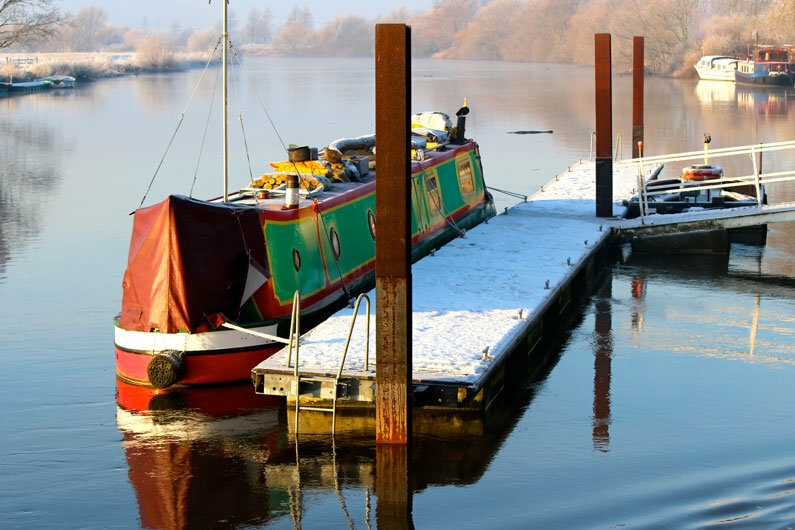 This is when a CRT Winter Mooring can be useful; these are visitor moorings which can be rented for up to 3 months at a reduced rate. An important consideration if you are thinking of being a continuous cruiser is whether your canal boat is ‘suitable’ for that lifestyle. What we mean by this is whether you have sufficient charging capabilities to supply the equipment on-board without the luxury of shoreline power? There is little point in buying a canal boat with all the latest gadgets (wine coolers, coffee machines, washer / dryer, freezer etc) if you aren’t able to use them without shoreline power. 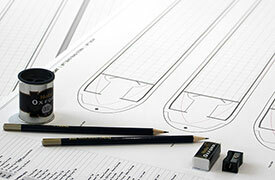 If you are designing a canal boat then you need to think about what equipment is suitable for your lifestyle. 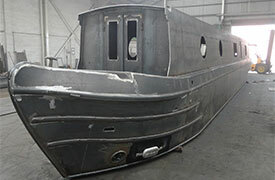 A narrow boat builder would be able to guide you through the right options. If you are not bound by time or location then continuously cruising can certainly be an idyllic lifestyle and for many, a lifelong ambition to experience the inland waterway network. On the plus side, if you don’t like your neighbours, simply untie your ropes and move along to the next place! A major concern for anyone considering a change of lifestyle and becoming a narrowboat continuous cruiser is how the logistics will work with services such as post, doctors and dentist. You may need to also need to consider how you are registered for such things as electoral role, car insurance or schools. There are many options for you to consider although the solution is not always straight forward, it is doable. Fortunately the amount of mail you now receive has reduced considerably as many organisations now have the option to go ‘paperless’, which is particularly useful for any bank/building society or insurance letters/statements Many continuous cruisers choose to keep a residential address, maybe a relatives or close friends, to enable them to have mail sent to this address. Arrangements can then be made to manage the post either by friend/relative opening, scanning and then emailing letters to you, or alternatively, you may be able to collect the mail from them periodically. Alternatively you can also you the Royal Mail Poste Restante, this is a free service which allows you to collect your mail from almost any Post Office in the UK. Mail from the UK will be held for 2 weeks, whilst mail from abroad for one month. Full details of the service and to check if the service is available in the required area can be found on the Royal Mail website. Another option is to use a PO Box Collect service from Royal Mail. This service can only be used for mail delivered by Royal Mail and not other couriers. This service also comes at a cost, either payable monthly, six monthly or annually. It is also worth bearing in mind some companies will not accept a PO Box address when sending mail. Full information and prices can be found on the Royal Mail website. Mail forwarding companies are also an option. Several companies are now in this market and can offer a variety of services to suit your requirements. Some companies will offer the full service of opening, filtering and scanning mail, or alternatively you may simply require all of your mail to be held until required and then either collected or forwarded, possibly using the Royal Mail Poste Restante service. Some companies will also pay cheques in on your behalf that are received in your mail. Many narrow boat continuous cruisers will choose to stay registered at their current doctors or dentist and return to these for any regular appointments. If you require regular prescriptions, depending upon your GP, they may be able to issue a sufficient quantity until you know you will be back in the area. You may also be able to use the Electronic Prescriptions Service which allows for prescriptions to be sent electronically to the pharmacy of your choice directly from your GP surgery. However, if you require an emergency appointment and are not able to travel to your usual GP surgery, it is still possible to be seen by another GP or dentist. It is possible to register as a temporary patient at any GP surgery for up to 3 months. If you no longer have a residential address, this is not a barrier to registering as a temporary patient as per NHS guidelines. The practice address can be used if you are of ‘no fixed abode’. A GP practice cannot refuse to register you if you have no residential address. Other NHS services, such as walk-in centres and minor injuries are also available and the NHS website can be used to see what services are available in your area. Out of hours or emergency dentists are also available on the NHS. You can contact 111 to find details of emergency dentists in your area. 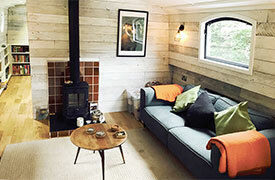 It is a common misconception that narrowboats do not require a TV licence even if they do not have a TV on-board. If you chose not to have a TV on your narrow boat, but still watch programmes (either live or on catch up) through a laptop or a tablet, you must be covered by a TV licence. If you have a residential ‘bricks and mortar’ address with a TV licence, this will cover you whilst on-board. However, if your boat is your permanent residence and you watch TV by any means, you will require a TV licence. Full details can be found on the TV Licensing website. If you have no permanent residential address, you may effectively be classed at ‘no fixed abode’. This does not mean you cannot register to vote. Full information on how you can register can be found on this website.